The 21st Century Learning Grant afforded Solvay High School's science department with a unique and inquiry-based opportunity this summer. 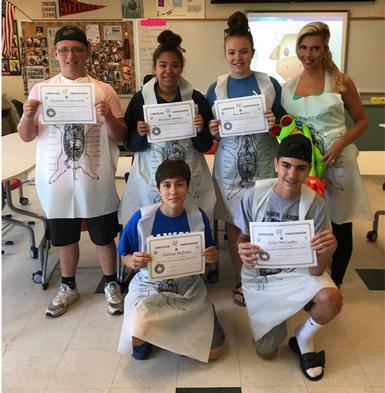 Mrs. Lisi's biology students had the incredible experience of dissecting a grass frog, fetal pig, and cow heart over the course of three days in July. Students worked diligently through each dissection, identifying individual organs and their functions in both amphibian and mammalian organisms. This is an opportunity not often made available for students until collegiate age. These students now have a great advantage for any future biology courses they may choose to pursue in the future!